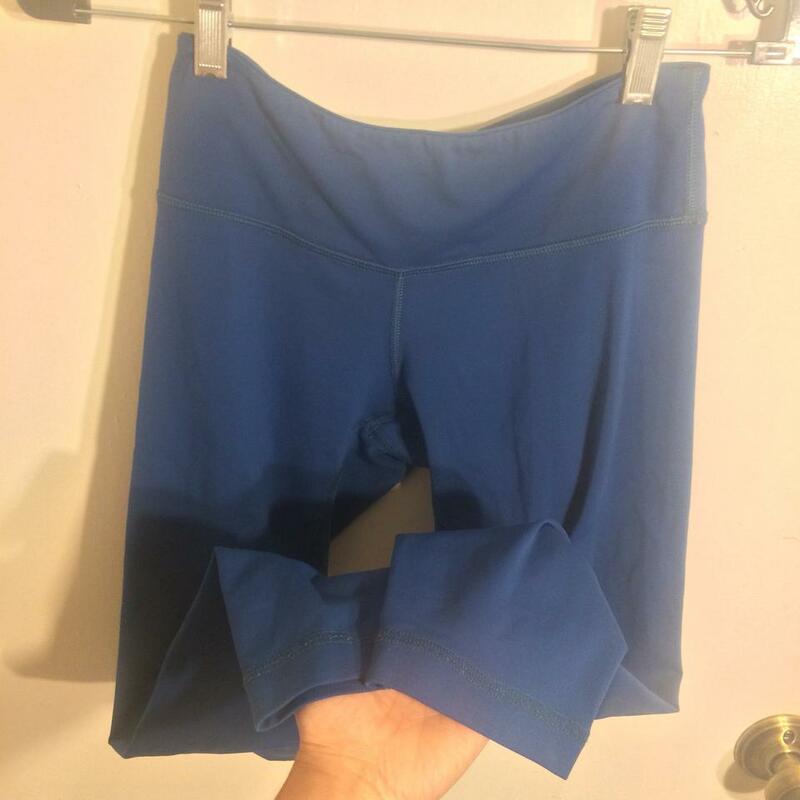 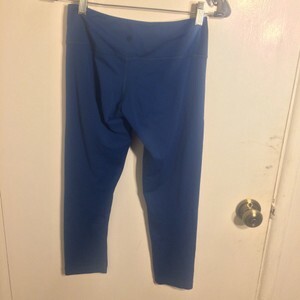 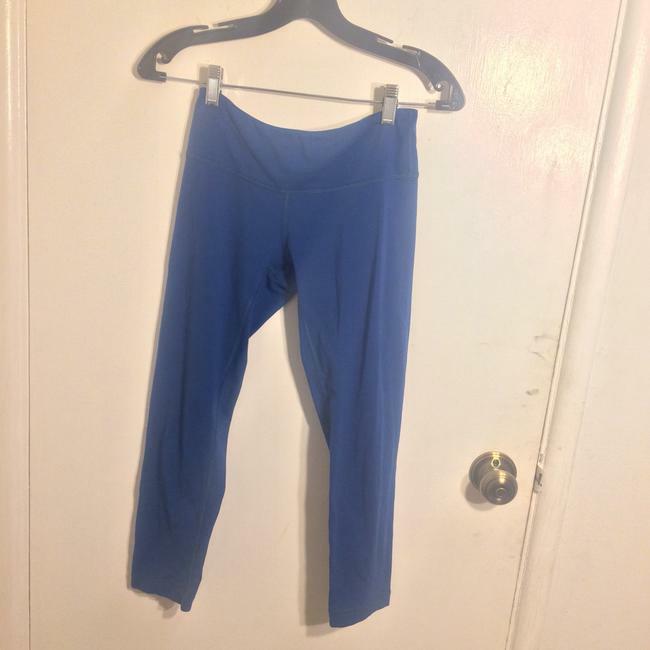 Lululemon Athletica women's size 6 or 8 (I don't remember which) teal blue skinny leg full length leggings made of a stretchy moisture wicking fabric that is very comfortable. 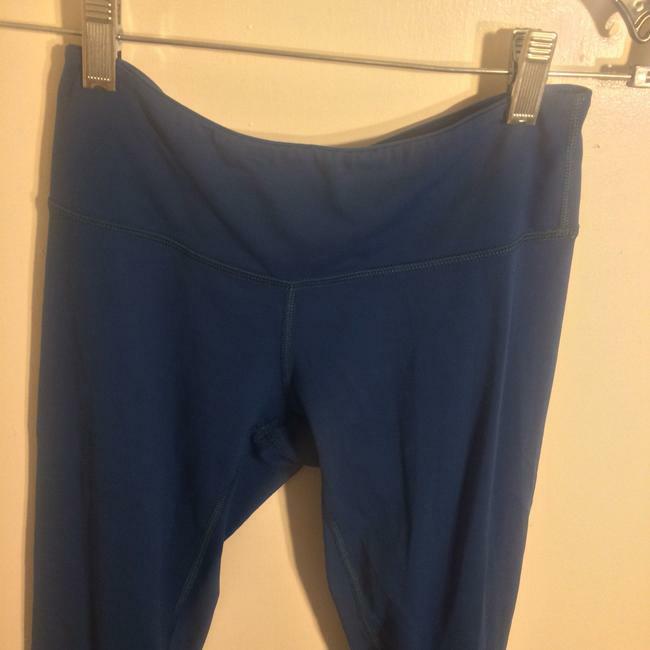 Elastic waistband. 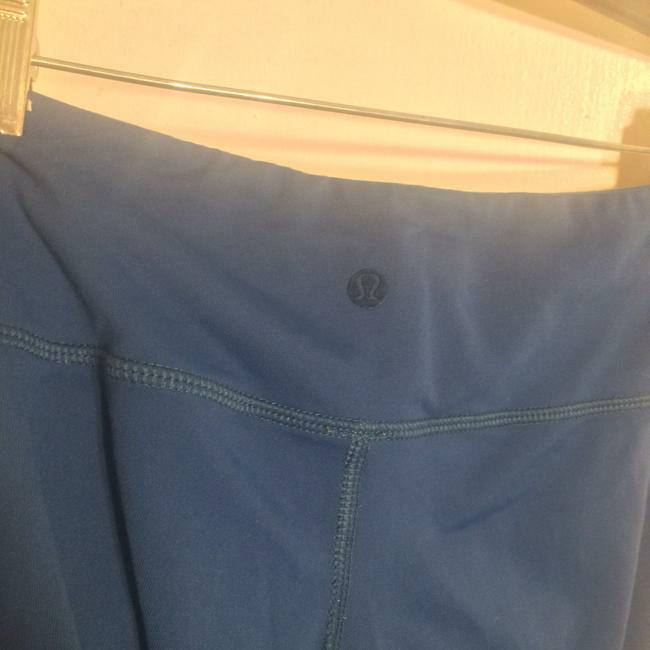 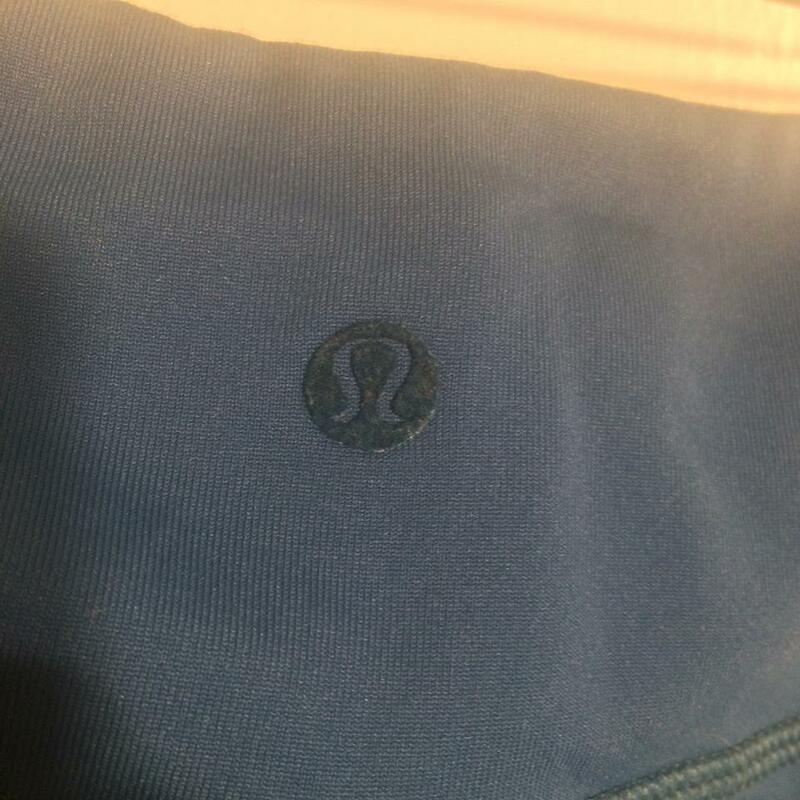 Lululemon symbol is in center of waistband on back side and is madr of a velour like fabric different from the rest of the leggings.